We all know that pallets come to us after their primary duty in the ships! During this journey the pallets receive various marks, signs of wear and tear and also various kinds of dots and ugly spots over their surfaces! All these wooden imperfections just make the finally retired from the ships and they just become useless to throw away to landfills! This just not ends here, you can again give a serviceable life to those retired pallets as they are having lot of good wood under the bad wood sections! There are lots of projects to do with those rustic pallets but installing a wooden floor just may the best use ever! Here we have shared this DIY pallet flooring project that can be taken as remarkable inspiration! This project is all about how you can rock your interior floors with pallets and hence can get the entire interior visually attractive, wooden flooring will also avoid the interior floors from getting cold in winters! 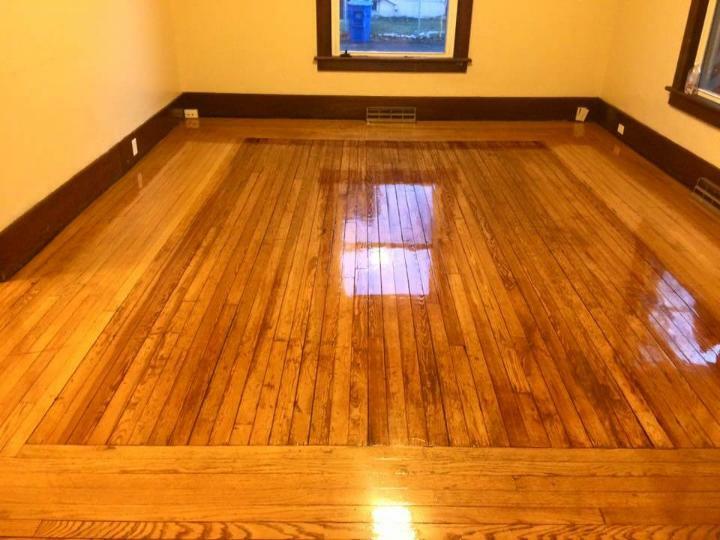 Interior wooden flooring has several different benefits as they are always easy to clean and avoid the under flooring heat due to zero conductivity of wood! 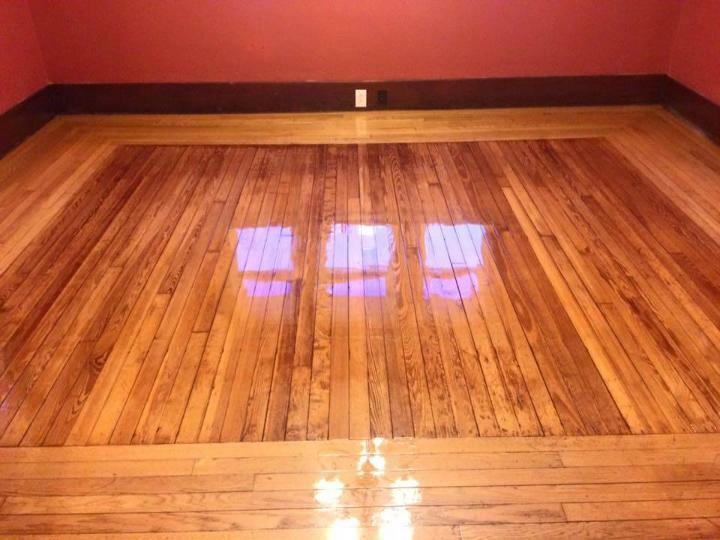 Being cost effective, the wooden floors also help the interiors to get insulated! You can now install precious wooden floors in amazing patterns and this would highly cost effective! 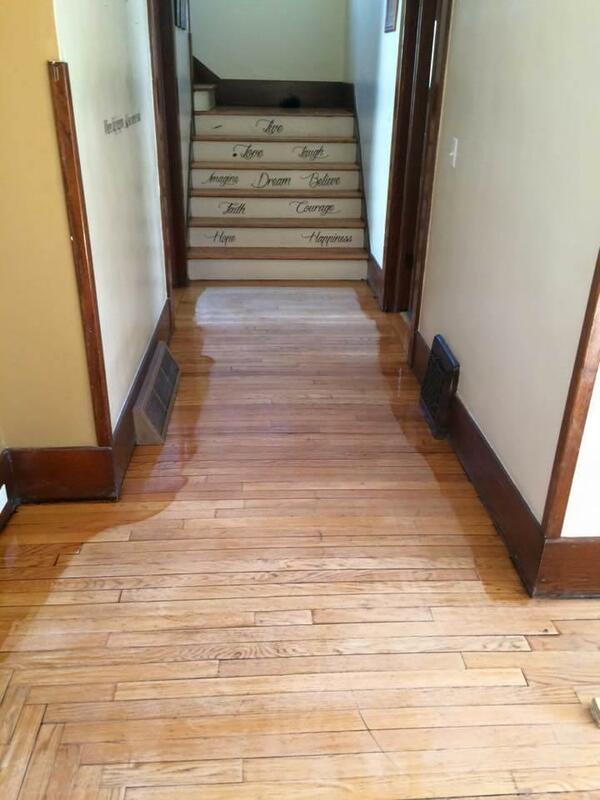 Wooden Floors also stay for decades!! Here a full room has been carpeted with pallet wood floor that come in an amazing pattern and hence gives a visual boost to whole interior ambiance of the room! Firs of all the pallets boards or slats have been separated apart from pallet frames which have all been installed for this amazing wooden floor! To avoid moisture damage or air under the floor, you can just layer the plastic underlayment paper first before installing the wood floor! 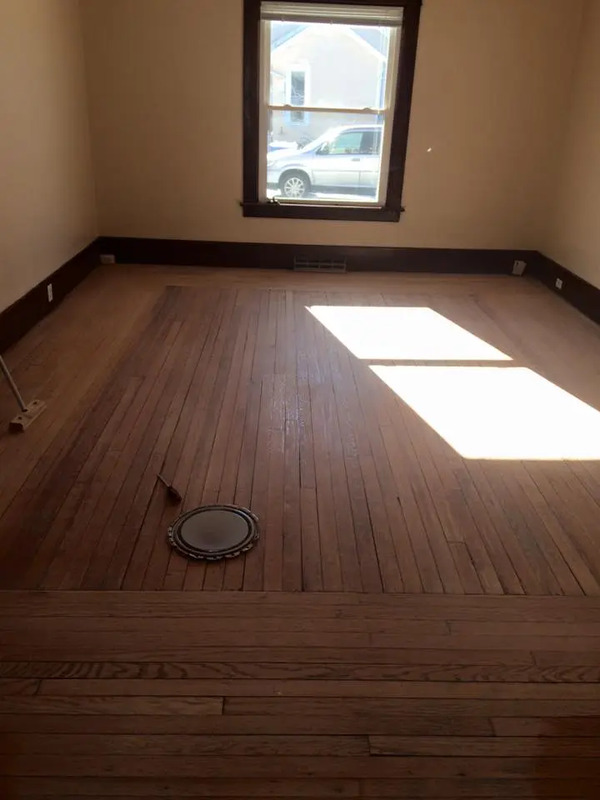 It would be better if you start installing the floor from one corner of the room! Once you started it up, just use add the nail deep enough to hold the planks in place and you can nicely do so by using a hammer and a nail-set! Get help from the floor spacers to get precise and clean boundary lines of your wooden floor! Fine sanding and gritting of pallet planks before placement would also add precision to your work for sure! Don’t leave any plank loosely bound, just plan grouting if you need more inside grip! Just make sure you have not hide any electrical outlet while installing the wooden floor, if you have really done it by mistake then just cut the wood out to reveal that outlet! This floor comes with a clear thick border and then a straight packing of pallet slats to center, looks very stunning and engaging! At the end, you can do a multiple things together, if you are having a little doubt that there are some uneven edges that you can just go with drum sander that will just remove those all even edges, but do follow the instructions first about how to use the drum sander! 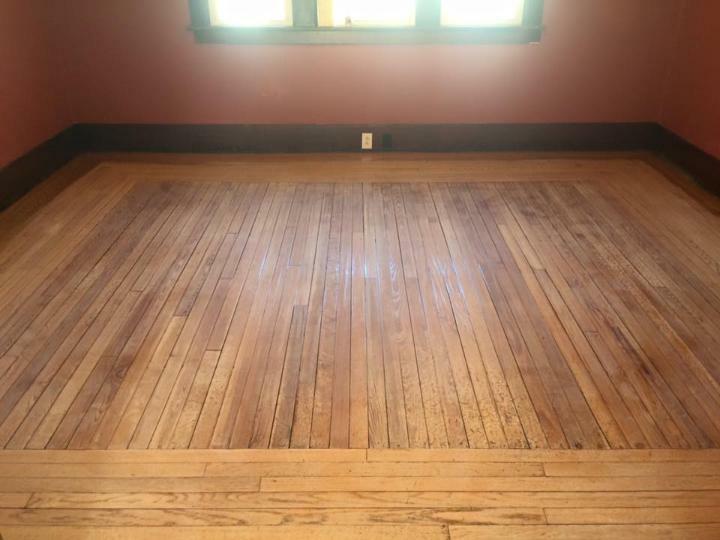 The sterling shine has been provided to wooden surfaces by giving the final polyurethane coats that also add the weather protection to this accent patterned wooden floor! 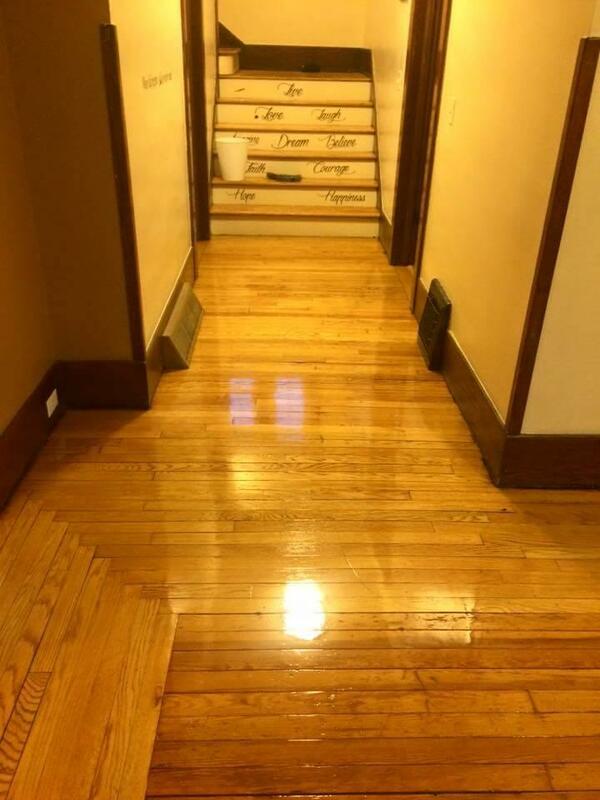 A little portion of hallway has also been given accent wooden floor that leads to a stairway! By following the same techniques you can do the outdoor decking projects and interior pallet wall paneling projects with pallets and all these projects will also be cost-efficient!